Moon earrings on medium earwires, handmade from recycled tins. Small heart earrings handmade in recycled aluminium. 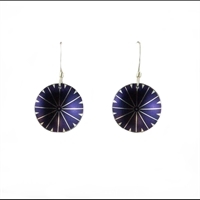 Large star earrings handmade in recycled aluminium.Available in different colours. 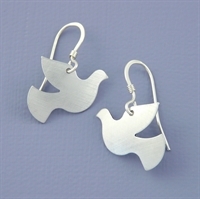 Petite dove earrings handmade in recycled aluminium. Petite dragonfly earrings handmade in recycled aluminium. 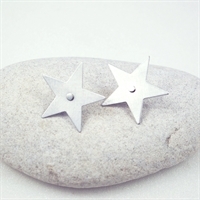 Petite star earrings handmade in recycled aluminium. Available in different colours. Round heart earrings handmade in recycled aluminium. Small slim heart-shaped earrings handmade recycled aluminium. 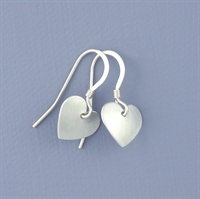 Small slim heart-shaped earrings on medium earwires, handmade from recycled aluminium.